THIS IS A COURTESY POST FOR FIDO'S FREEDOM FELINE FRIENDS: BUDDY is so sweet and affectionate and an easy starter cat! BUDDY gets along great with other cats, dogs and people! BUDDY can be shy at first, but he's so loving and devoted once he gets to know you and has the time to unwind and get to know his new environment. He loves to snuggle in bed with you, cuddle while you watch tv and read, and he is still just as playful as a kitten! He is super sweet and loves getting petted. He gets along with everyone and all he really wants is a loving forever home. He's been raised around loud big dogs that bark a lot as well as a lot of other cats and kittens, and got along great with everyone. BUDDY was rescued before getting dumped at a high kill shelter in the nick of time and is at a foster home, but is really hoping to be chosen as part of a loving forever family. BUDDY is housebroken, always uses the litter box, doesn't spray, doesn't scratch up the furniture, and is well-behaved. As well as current on all shots, has been dewormed, is current on flea medication, is FeLV/FIV negative, microchipped and fixed. Upon adoption, all cats also come with a PetSmart adoption booklet with $450 worth in coupons for pet supplies, including coupons for free food, a free grooming session and a free vet exam. Bring some silly love into your home today! The feline placement coordinator can be reached directly at: fidosfelinefriends@gmail.com or 951-349-5893 and is at Hemet PetSmart on Tuesdays, Thursdays, Saturdays and Sundays. Tuesdays and Thursdays are by appointment only. Adoptions and Visitation Hours are Saturdays and Sundays between 12 noon and 6 pm, subject to availability. The Adoption Center and Cat Wall are run 100% by unpaid volunteers. Please contact to find out exact hours or to make an appointment. 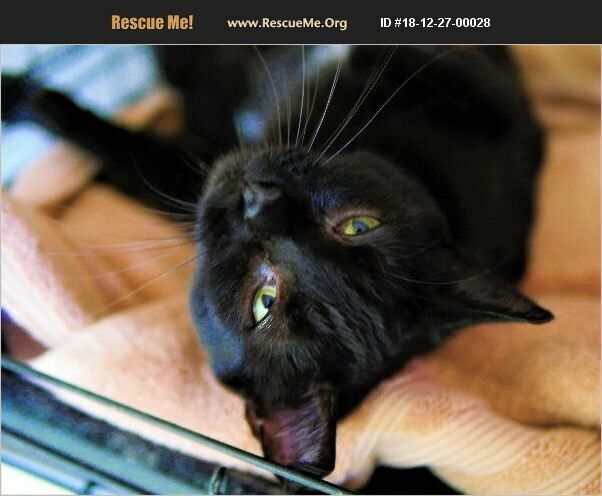 View their cats (unless a volunteer is already present, the cats can only be viewed, not touched/held) between 9 am and 9 pm at: Hemet PetSmart 2771 West Florida Ave Hemet, CA 92545 Please fill out their adoption application: http://www.pawsworldwide.org/adopt/ Steps to adopt: Please fill out their adoption application. Make arrangements or show up to one of our adoption events to meet the animal/s you are most interested in. There may be a required home check. There is a required minimum adoption donation; please inquire as to details.